Minnetonka No. 1 singles player Bella Lambert returns a shot against her Mounds View opponent Tuesday, Oct. 22, at Baseline Tennis Center on the Minneapolis campus of the University of Minnesota. Lambert helped the Skippers to a second place finish in the class 2-A team tournament, as well as placing fourth in the state individual tournament. Minnetonka No. 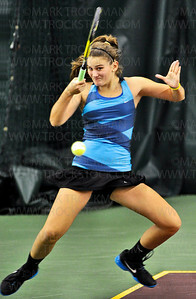 1 doubles players Theresa Tebon slaps a forehand during the girls' state tournament quarterfinal. The Skippers trounced their opponents from Stillwater 6-2, 6-0, Tuesday, Oct. 23, at Baseline Tennis Center in Minneapolis. Minnetonka No. 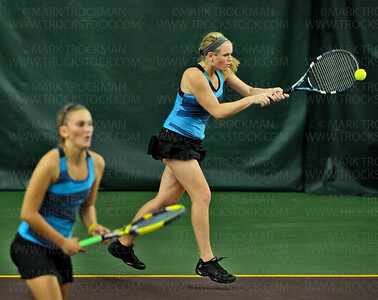 1 doubles players Theresa Tebon and Sydney Baldwin trounced their girls' state tournament quarterfinal opponents from Stillwater 6-2, 6-0, Tuesday, Oct. 23, at Baseline Tennis Center in Minneapolis. Minnetonka No. 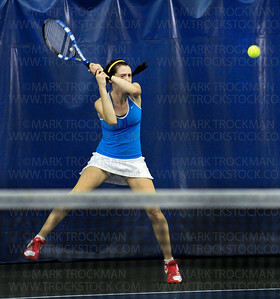 1 doubles players Theresa Tebon serves during the girls' state tournament quarterfinal. The Skippers trounced their opponents from Stillwater 6-2, 6-0, Tuesday, Oct. 23, at Baseline Tennis Center in Minneapolis. Skippers No. 1 singles player Bri Smith slaps a forehand at her Stillwater opponent, Natalie Phippen, during their 2012 girls' tennis state tournament match Tuesday, Oct. 23, at Baseline Tennis Center in Minneapolis. 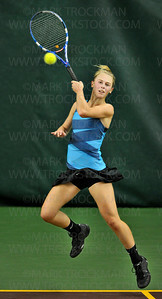 Smith won her quarterfinal match 6-2, 1-6, (10-6). Minnetonka No. 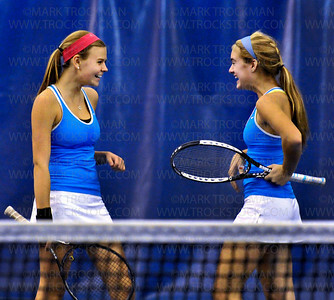 1 doubles players Theresa Tebon, left, and Sydney Baldwin trounced their girls' state tournament quarterfinal opponents from Stillwater 6-2, 6-0, Tuesday, Oct. 23, at Baseline Tennis Center in Minneapolis. Minnetonka No. 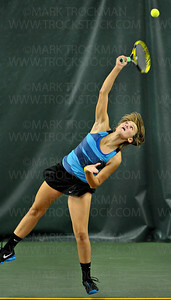 1 doubles player Theresa Tebon waits for a high volley during the girls' state tournament quarterfinal. The Skippers trounced their opponents from Stillwater 6-2, 6-0, Tuesday, Oct. 23, at Baseline Tennis Center in Minneapolis. Hopkins #1 singles player, sophomore Ida Ramic, smashes a forehand at her Wayzata opponent, sophomore Kelly Yang, in their Lake Conference match in Minnetonka Thursday, Sept. 13, 2012. 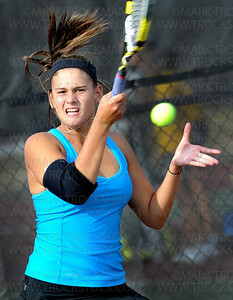 Ramic lost to Yang in straight sets, 6-3, 6-2. 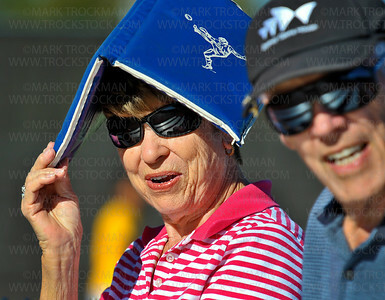 Carol Musser, left, sitting next to her husband Kent, shades herself from the hot afternoon sun at Hopkins High School's tennis courts Thursday, Sept. 13, in Minnetonka. 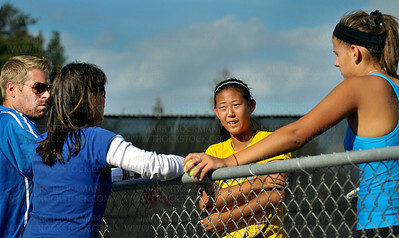 The Kents were cheering for their granddaughter, Royals player Mattie Johnson, during the Lake Conference match. Wayzata #1 singles player, sophomore Kelly Yang, serves to Hopkins #1, sophomore Ida Ramic, Thursday, Sept. 13, in Minnetonka. Yang beat Ramic in straight sets, 6-3, 6-2. 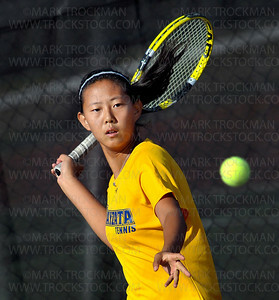 Wayzata sophomore Kelly Yang returns a serve from Hopkins sophomore Ida Ramic in their #1 singles match Thursday, Sept. 13, in Minnetonka. Yang beat Ramic in straight sets, 6-3, 6-2. Wayzata No. 1 doubles player Jack Graven, top, is all smiles as he approaches his partner Jason Kabarowski after the duo defeated their Eagan opponents 6-4, 6-3, in Class 2A state semifinal action Wednesday, June 6, at Baseline Tennis Center in Minneapolis. Wayzata No. 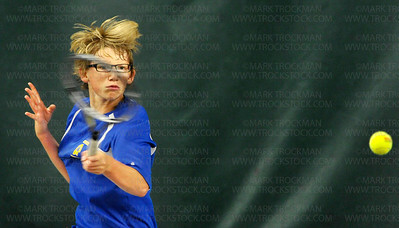 1 doubles player Jason Kabarowski returns a forehand shot to his Eagan opponents in Class 2A state semifinal action Wednesday, June 6, at Baseline Tennis Center in Minneapolis. 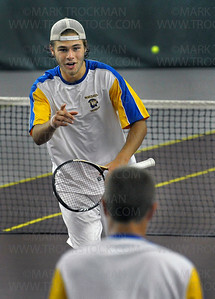 Kabarowski and his partner Jack Graven defeated Eagan 6-4, 6-3. Wayzata No. 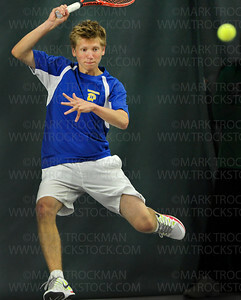 1 doubles player Jack Graven returns a forehand shot to his Eagan opponents in Class 2A state semifinal action Wednesday, June 6, at Baseline Tennis Center in Minneapolis. 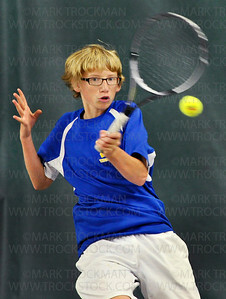 Graven and his partner Jason Kabarowski defeated Eagan 6-4, 6-3. 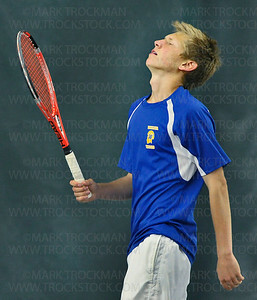 Trojans #2 singles player Dustin Britton shows the agony of defeat after losing a point to The Hornet's Tyler Kuck in section play Thursday, May 24, at Baseline Tennis Center in Minneapolis. 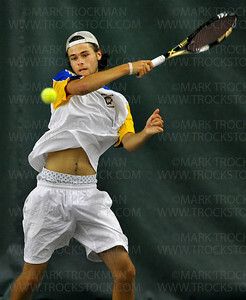 Wayzata's Britton succumbed to Edina's Kuck 2-6, 7-5, 6-7. Athletic play by Wayzata #2 singles player Dustin Britton couldn't overwhelm Edina's #2 Tyler Kuck in section play at Baseline Tennis Center in Minneapolis, Thursday, May 24, 2012. 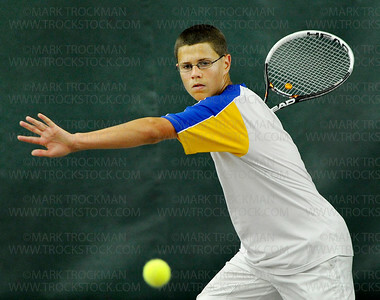 The Hornet's Kuck defeated Britton 2-6, 7-5, 6-7. The joy of victory. 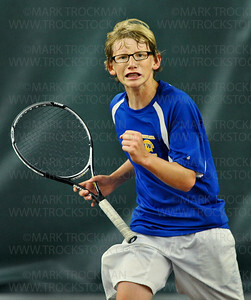 Wayzata #1 singles player Nick Beaty reacts after winning another point against Edina's Max Olson Thursday, May 24, at Baseline Tennis Center in Minneapolis. Beaty went on to beat Olson 2-6, 6-3, 7-5. 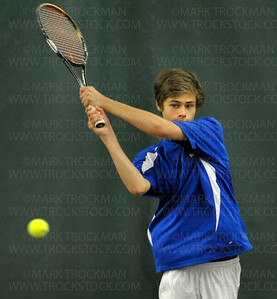 Wayzata #1 singles player Nick Beaty slams a forehand shot at his opponent, Edina #1 Max Olson at Baseline Tennis Center in Minneapolis Thursday, May 25, 2012. Beaty went on to beat Olson 2-6, 6-3, 7-5. Blake team captain, and one-half of the Bears No. 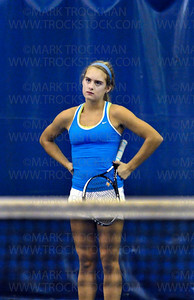 1 doubles team, Maddy Hall, contemplates a missed shot against Rochester Lourdes at Reed Sweatt Tennis Center in Minneapolis Wednesday, Oct. 26. 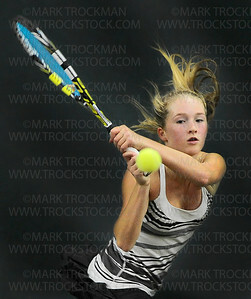 Hall and doubles teammate Ellie Rudd defeated their Rochester Lourdes foes, 6-2, 6-2. Blake beat Rochester Lourdes 6-1 in the state tournament team competition. 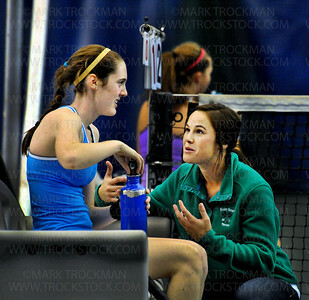 The Blake School's girls tennis head coach Jeannette Vickman, right, talks strategy with the Bears No. 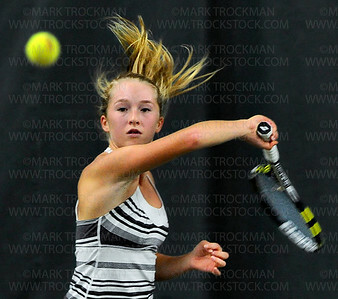 1 singles player, junior Claire Carpenter, during her match against Rochester Lourdes' Margaret Pearson Wednesday, Oct. 26, at Reed Sweatt Tennis Center in Minneapolis. 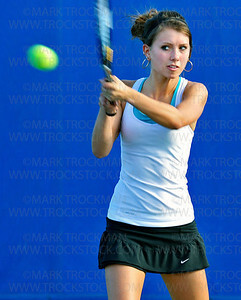 Carpenter lost to Pearson, 4-6, 6-1, 10-8. Blake beat Rochester Lourdes 6-1 in the state tournament team competition. Minnetonka's No. 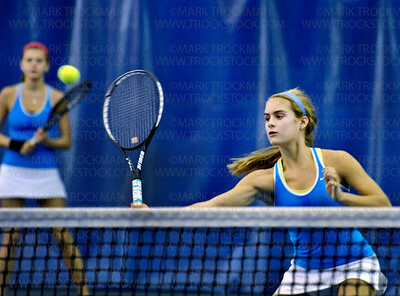 1 singles player Jessa Richards will lead the Skippers this week as they look to claim the section 2-2A championship. Hopkins #1 singles player, freshman Ida Ramic, right, disputes a game score with Wayzata's #1 singles player, freshman Kelly Yang, center, Wayzata's coach, Marci Weiner, second from right, and Hopkins head coach Todd Roudabush Tuesday, Sept. 13, in Minnetonka. 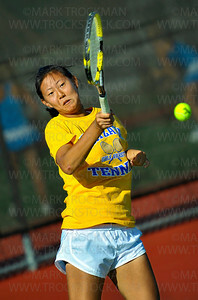 Yang defeated Ramic 6-1, 6-0. 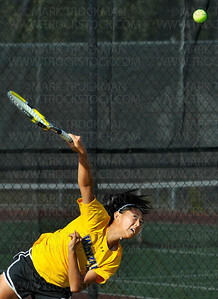 Wayzata freshman Kelly Yang crushed her #1 singles opponent, Hopkins freshman Ida Ramic, 6-1, 6-0, in Lake Conference play at Hopkins High School Tuesday, Sept. 13, 2011, in Minnetonka. Hopkins freshman Ida Ramic lost her #1 singles match 6-1, 6-0, to Wayzata freshman Kelly Yang in Lake Conference play at Hopkins High School Tuesday, Sept. 13, 2011, in Minnetonka. Wayzata No. 1 doubles team player Jack Graven returns serve against Mounds View at the State Class 2-A Quarterfinals Tuesday, June 7, at Baseline Tennis Center on the University of Minnesota campus in Minneapolis. 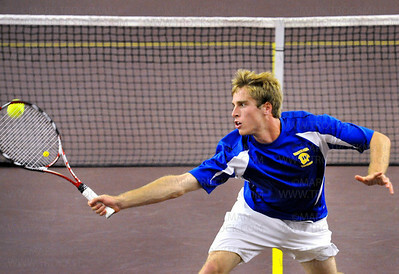 Wayzata beat Mounds View's No.1 doubles team 6-0, 6-2. Wayzata No. 1 doubles team player Duncan Sallsstrom returns a volley from his Mounds View rivals during the State Class 2-A Quarterfinals Tuesday, June 7, at Baseline Tennis Center on the University of Minnesota campus in Minneapolis. 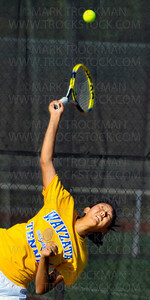 Wayzata beat Mounds View's No.1 doubles team 6-0, 6-2.